Designed for extra comfort and practicality, the 60 x 42 RM whirlpool tub is a stylish option for your bathroom. 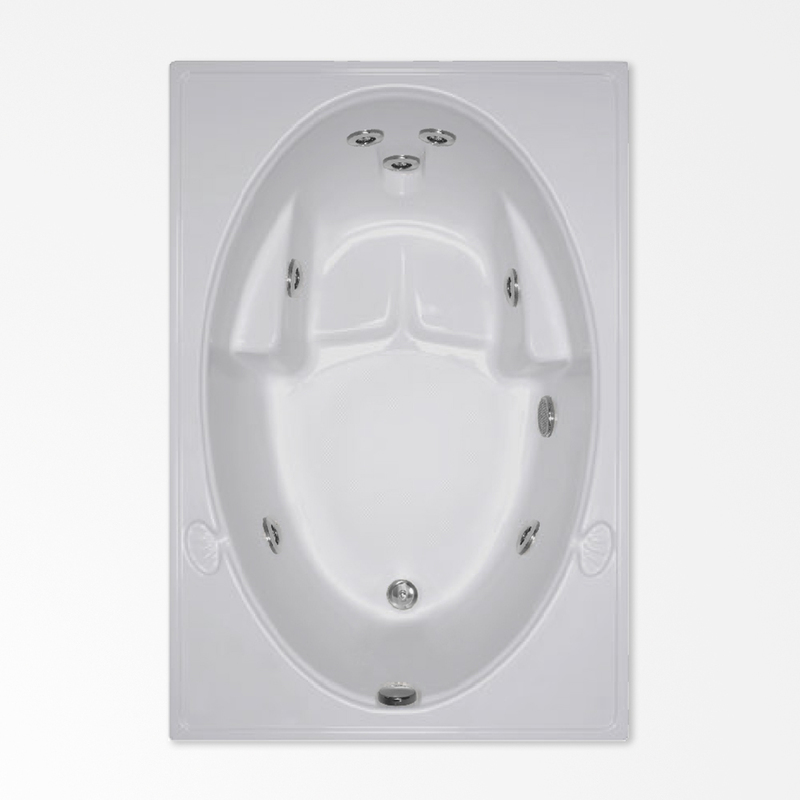 Unwind from a long day and let three recessed hydrotherapy jets massage your back, while the two jets on either side reach your hips and knees. The sculpted seat and armrests hug your body as you recline against its curved back. •	Shipping weight: 162 lbs.